 Public Lab: Kite Construction: How bad can it get? 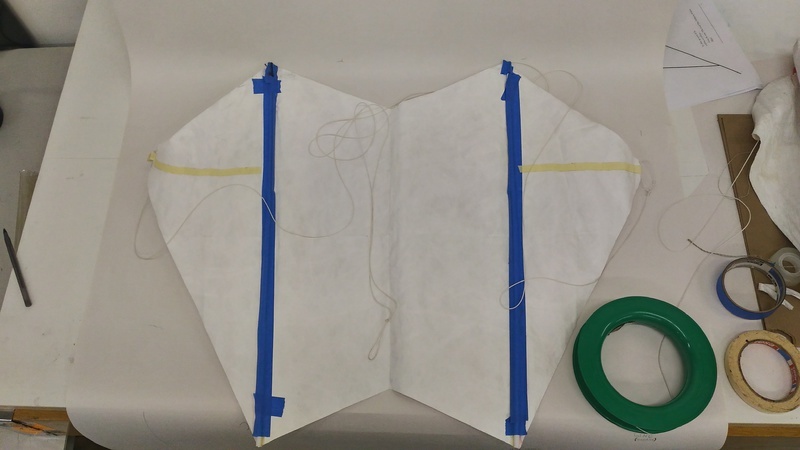 Kite Construction: How bad can it get? I'm interested in workshopping Stormy Weathers' Horned Allison Sled Kite. (plans pdf), and I wanted to see how poor the construction could be and still have a flying kite. I similarly applied the 1/4" PP strapping tape (brand: Tesa 4288) for the bridle attachments entirely by eye. They are slightly uneven. Then I tied the bridle. Here I made sure the bridle point was in the exact middle. I flew this kite and it flew great. I haven't gotten a good in-flight photo yet. I was suitably impressed, and it flew better than the version I made very carefully with bamboo spars. My goal is to use this kite as a wind speed meter and need to calibrate it. I need to get a better clinometer and spring scale setup. My current spring scale is 5000g, @Ecta64 is recommending 250g scale. I should really attach the clinometer to a tripod or other leveling system. 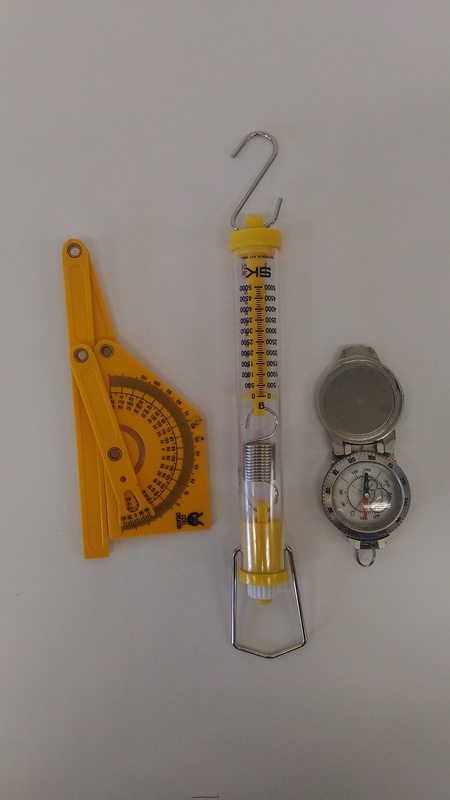 I also need to replace the stretchy dacron line with a non-stretch line, as recommended for a kite anemometer (wind speed meter). I bought 3000' of 70lb kevlar line from Emmakites. I want to see if I get the same high-wind spar failures that @Ecta64 is reporting. I should try a version out of a plastic bag, not just my fancy type 10 Tyvek.